GettyVince Cable campaigning in the Lewisham East by-election. Friends of Liberal Democrat leader Vince Cable reject calls for him to make way for a successor. Party insiders had expected him to serve as an interim leader for his Deputy leader Jo Swinson. However, Cable’s allies believe he has cemented his position as party leader. The upcoming Lewisham East by-election will be a test of his leadership. 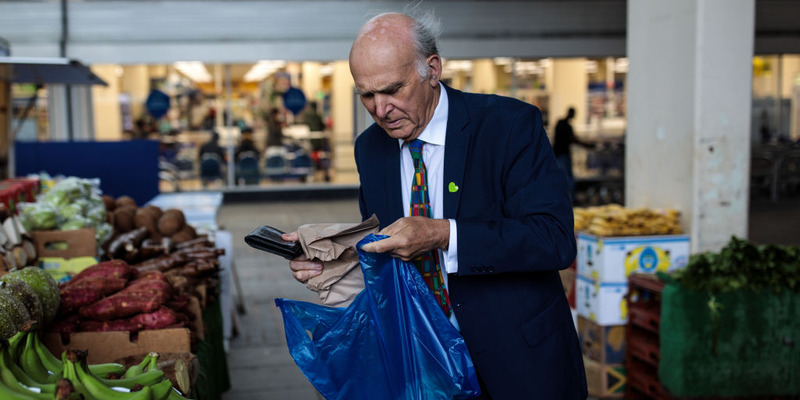 LONDON – Liberal Democrat leader Sir Vince Cable has rejected calls to make way for a successor, with friends telling Business Insider that he plans to stay in the job for another 20 years. Cable had been widely expected by party insiders to serve as an interim leader, with current deputy Leader, Jo Swinson, the favourite to replace him. However, friends of Cable have told BI that the former business secretary “wants to stay as leader until he is 95,” meaning he could potentially remain in the job until the year 2038. 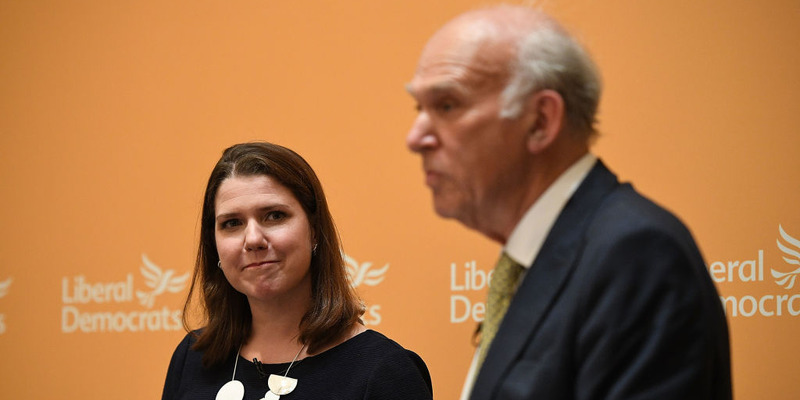 They also rejected suggestions that Cable was always intended to be an interim leader of the party, insisting there had never been a plan to make way for Swinson. Cable’s critics in the party now accept that his position has been strengthened following this year’s English local elections, where the party almost equalled Labour with 75 gains across the country. “He’ll stay until the next election now,” one Lib Dem critic of his leadership told BI. Allies of Cable also believe the local election results, although not spectacular for the party, surpassed most expectations and were positive enough to secure his future. “We won the game, even if it was a low scoring game,” one friend of Cable told BI. The Liberal Democrat leadership is also quietly optimistic about the party’s prospects in the upcoming Lewisham East by-election. Although unlikely to win the seat, the party is hopeful of beating the Conservatives into third place. At the last general election, Theresa May’s party were some 19 points ahead of the Lib Dems in the southeast London seat. Allies of Cable hope it will be another step towards the party restoring their fortunes after several years in which they have languished in the polls and at the ballot box. The Lib Dems had hoped that the EU referendum result, which was opposed by almost half the population, would be the perfect opportunity for the party to win back liberal metropolitan voters. They were particularly hopeful of a recovery given their long-term clear support for Britain’s EU membership and the Labour leader Jeremy Corbyn’s longstanding Euroscepticism. However, there has so far been little evidence of a significant recovery for the party under Cable’s leadership, despite modest gains in the local elections. Prior to the local elections, party insiders had begun discussing who was best placed to succeed Cable, with Swinson and newcomer Layla Moran touted as favourites. Despite this, allies of Cable are confident that his mastery of policy and belief in “opportunity for all” will eventually start to cut through with voters. The Lib Dems are also working on plans to open up the membership to newcomers and have been in conversation with the Canadian Liberal party, which under the leadership of Justin Trudeau, successfully moved from being the third largest party in Canada to the first.